Christmas is coming! The Christmas Party kicks off at 0:00AM on Dec. 20th(server time)! You are all invited to come join the fun in League of Angels now! Check out what's new here! Description: Merry Christmas! Use your Jingle Bells to open chests and exchange Christmas tokens for amazing items! Maia, Aurora, Hera(and her awakening stone) and Kaliare waiting. 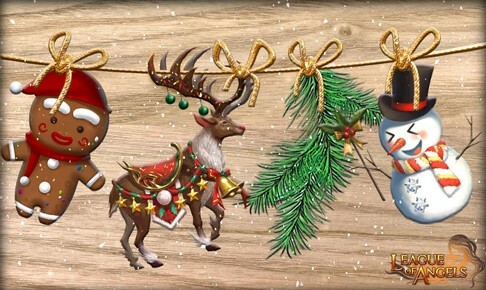 Apart from fighting alongside angels, you can also build your very own Christmas Homestead with all the new components! Let your imagination run riot! 1.You can exchange your Thanksgiving tokens for different jingle bells on the FIRST AND SECOND day of the carnival(12/20 &12/21)! In addition, if you are looking for some powerful heroes to join your party, don't forget to check CS Resource Tycoon out from Dec. 20th to Dec. 23th(server time)! 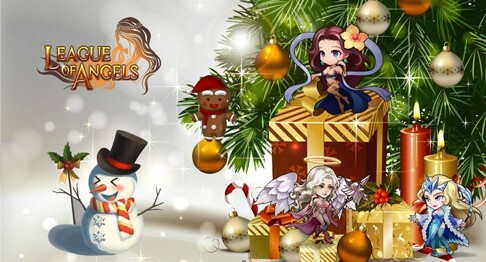 We wish all the players a Merry Christmas and enjoy the Christmas Party in League of Angels! And special thanks go to Brigit(S1 Kabam), SithLord(S1 Kabam) and Missiry(S560), for contributing the awesome fan arts.